AquaStart is a combination soft starter that allows easy installation with factory pre-set pump parameters. It is designed to work directly with centrifugal and submersible pumps with ease of installation. AquaStart utilizes Thermal Image Motor Protection (TIMP) to get the highest level of motor performance while fully protecting the motor for longer life. 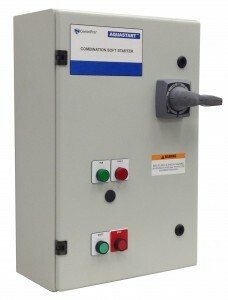 AquaStart offers enhanced motor and system protection for residential, commercial, and industrial pumping applications.